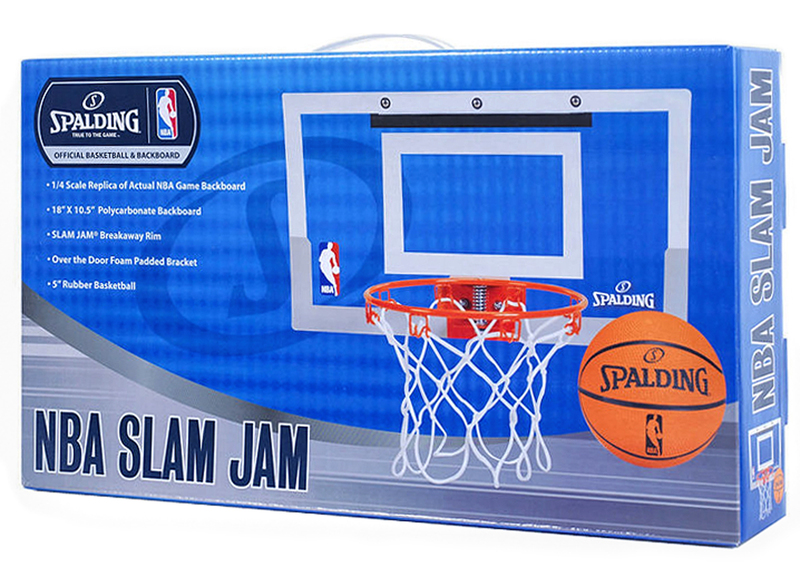 Turn your office or bedroom into a basketball court with the Spalding NBA Slam Jam Mini Basketball Hoop Set. 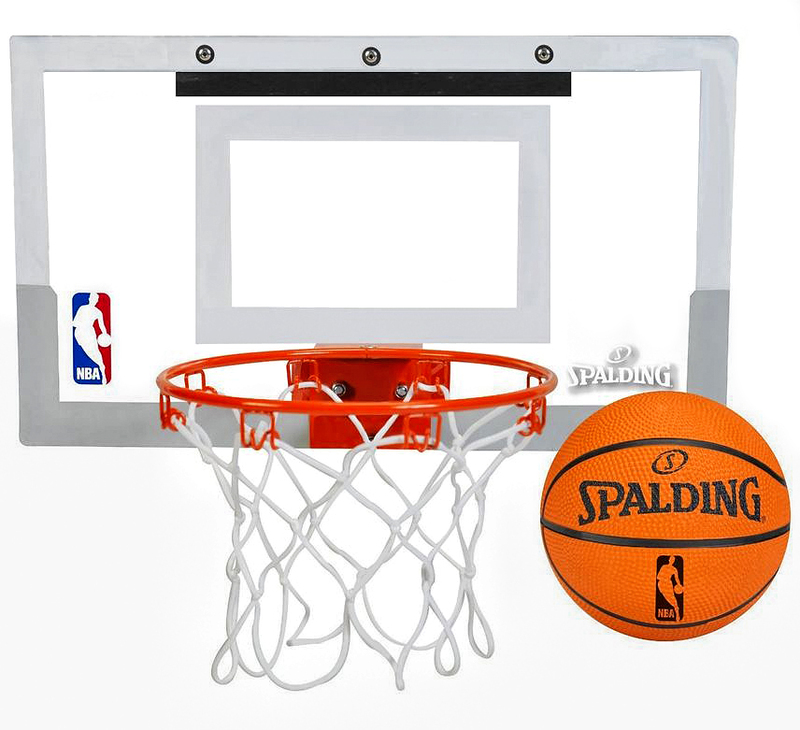 Featuring an 18x10.5 polycarbonate backboard and a spring away rim, you can shoot from the outside or take it to the hoop for a slam dunk. 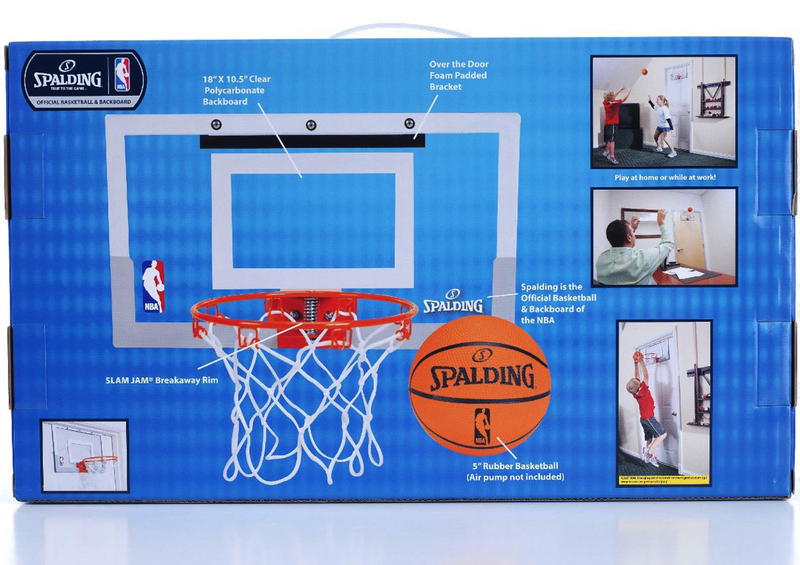 The hoop fits easily on the back of the door with its padded brackets and comes with a 5 inch mini rubber basketball. 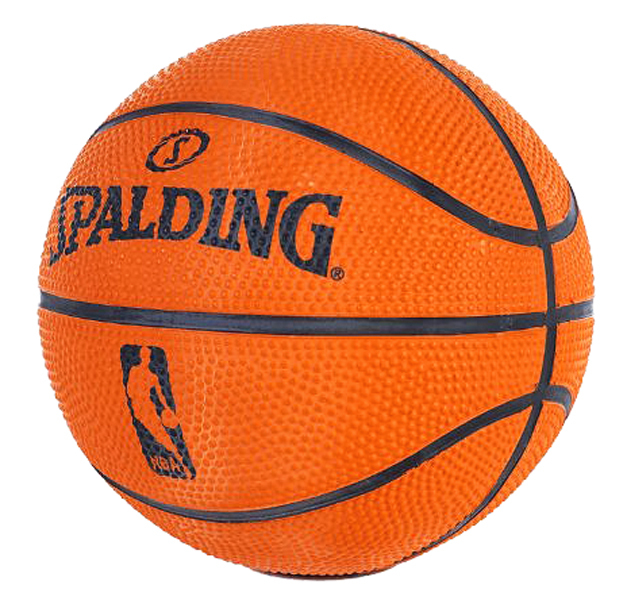 With its NBA design and logo, you will feel like a pro.